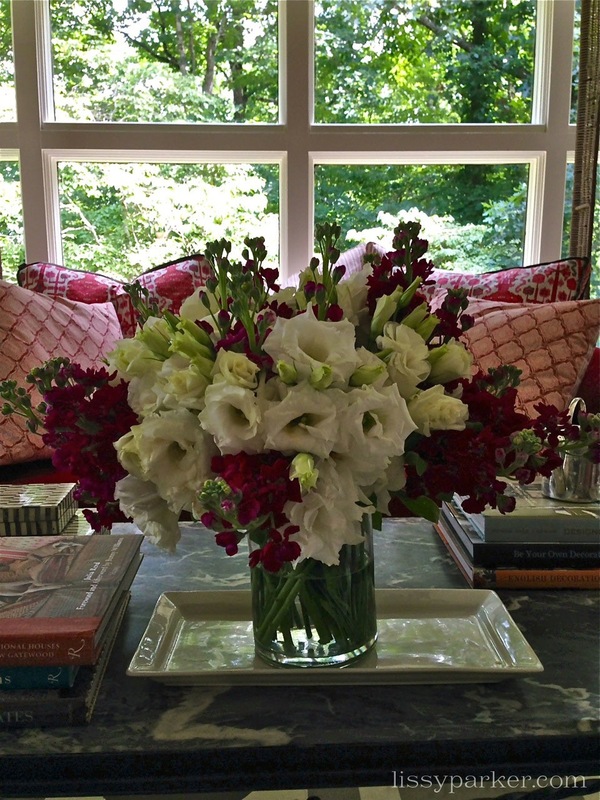 I love this arrangement of deep luscious pinks and whites! I placed them on the coffee table in the kitchen so the sweet fragrance fills the room. No, I didn’t arrange these myself—my sister-in-law gave them to me as a birthday gift. Renovations on the master bathroom and closet are continuing today here at Figgy Cottage. I see new and exciting things in my future—and a functioning bathroom! Have a wonderful weekend and enjoy the gardens and flowers all around us this Summer. South of France—your next home! The flowers are beautiful Lissy. Hope you had a wonderful Birthday! Cathy, Thank you so very much! It feels so good to have the demolition complete. Construction is beginning! Martha, Everyone associated with this porch did an outstanding job. Please come visit the house if you can.